"It's amazing how quickly you will see results." 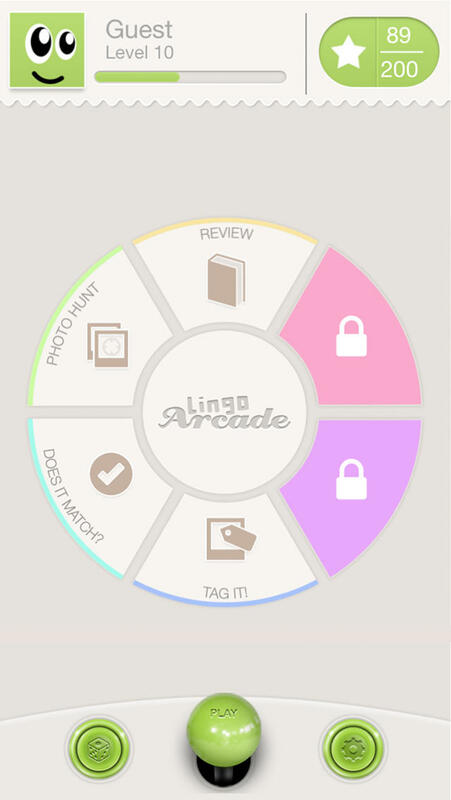 Start learning how to read, speak, and write English with Lingo Arcade PRO. Our language app features four addictive games that help you learn how to speak English in no time. It is perfect for anyone that wants to learn English. Whether you are an ESL student just getting started or a traveler that wants to brush up on their English, Learn English with Lingo Arcade is perfect for you! The best part of learning English with Lingo Arcade is that it will feel just like a game. You will constantly want to keep playing and at the end of each session you will be amazed to see how quickly you are picking up new words and how quickly you will be able to understand English. WHAT MAKES LEARN ENGLISH WITH LINGO ARCADE UNIQUE? • Great value. We offer a HUGE library of content. Learn English with Lingo Arcade includes over 150 carefully prepared levels including 3,000+ gorgeous photos that are hand picked and edited. • Learn English with Lingo Arcade is more fun! Our addictive mini-games and gorgeous photos will keep you coming back for more. When learning English is a game, learning is fun and easy! • A natural approach to language learning. We believe that the best way to learn a language is the way kids effortlessly learn languages in the first place. That is without translation. • Select any level and jump ahead. While some programs force you to go level by level, we wanted to make Learn English with Lingo Arcade perfect for both beginners and intermediate learners so we have made it as easy as one click to jump ahead and select the level that's right for you. • Sync progress across devices. With Lingo Arcade you can play a mini game on the subway on your iPhone and when you return home and are ready for your next round on the iPad your progress will automatically be updated and synced as long as you login with your Facebook account on each device. • Appropriate for all ages. It does not matter whether the primary user is a child, esl student, or adult. Learning English with Lingo Arcade requires zero prior knowledge of English. The user does not even have to know how to read to play the game.